Cash-strapped farmers and ranchers say they can’t compete with industry for mitigation credits, and the US Department of Agriculture seems to agree. 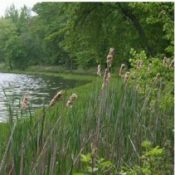 As part of its new Wetland Mitigation Banking Program, the USDA is distributing $9 million to state governments, NGOs, private firms and other parties interested in developing banks and banking systems specifically for agricultural producers. 11 February 2016 | US farmers and ranchers have long claimed wetland mitigation banking credits are too expensive, making it difficult for them to offset adverse impacts.. That could change with the Department of Agriculture’s new Wetland Mitigation Banking Program for agricultural producers, which the agency announced on January 28. The new program establishes mitigation banking that is only open to farmers, thus tailoring the cost and need to agricultural producers. This program will not mitigate for Clean Water Act (CWA) requirements, but rather provide farmers with another tool, helping them remain in compliance with Farm Bill conservation provisions. The Farm Bill rules aren’t mandatory like CWA regulations but following them is crucial for most farmers as USDA benefits, crop insurance premium subsidies, for instance, is dependent on compliance. A program to scale up banking for farmers has been in the works for some time, as lawmakers allocated $10 million in the 2014 Farm Bill to jump-start activity. The Natural Resources Conservation Service (NRCS) is the USDA agency tasked with managing and setting up the program, and it determined the most effective approach is to distribute the funds to willing third parties: non-profits, for-profits, state and local governments and indigenous organizations, which will develop the banks, generate the credits and market them to participating producers. The NRCS is collecting proposals from these groups until March 28, 2016. Most existing mitigation banks are designed for big developers, like corporates or state transportation departments, that are largely trying to comply with CWA regulations, explains Kari Cohen, a Senior Advisor within NRCS. CWA rules are more rigorous than what the Farm Bill mandates, causing the cost of mitigation credits to rise. Farmers often find it hard to compete with bigger entities with deeper pockets also looking to offset adverse impacts. “Farmers aren’t able to play in the same game with a Walmart that needs these credits too,” Cohen says. This new program eliminates that challenge, essentially establishing a mitigation market generating less rigorous and costly credits. And Travis Hemmen, Vice President of Westervelt Ecological Services, an environmental mitigation banking company, says keeping them separate is vital to the market complying with federal rules. “I do not want to see the farm credits used in a rigid or strict market if they don’t have the same standards that a federal wetlands bank does,” he says. The program offers a total of $9 million, as the NRCS is keeping $1 million to administer and oversee the program, with each project receiving a max of $1 million. And according to the program document, proposals for banks in such areas as the Prairie Pothole Region or the Nebraska Rainwater Basin Region will have precedence because it contains a high number of cropped agricultural wetlands. So the program will establish at least nine projects related to banking for farmers, though Cohen says he hopes the funds will be spread more thinly, kick-starting well over that number. When considering the costs of mitigation banking, Cohen notes that the program funding will indeed kick-start such projects – but that’s about it. Hemmen estimates that one bank can cost anywhere from $3 to $7 million, though project expenses vary and Hemmen’s experience lies largely with developing robust mitigation projects for CWA regulations. So interested states and other entities are looking at financing the lion’s share of a bank or program themselves. The finance is intended to cover administrative and technical costs of setting up a state banking program, for example, Cohen says, not for land-related components like acquisitions and easements. The funds are meant to incentivize, he says, or spur states and other groups into action. Cohen also says the program has potential to drive more money towards the most valuable and high-functioning wetlands. Les Lemm, the Wetlands Section Manager for Minnesota’s Board of Water and Soil Resources, the organization responsible for administering the state’s agricultural bank program and one of the initiatives NRCS reviewed when creating its program, agrees. “I would characterize these programs as a win-win,” he says. Speaking specifically about the program in Minnesota, which officially launched in 2012, Lemm says the program provides alternative opportunities for farmers while not sacrificing any ecological benefits. The program, he explains, uses a functional assessment method which ensures the wetlands within the bank are of a higher quality and better functioning than those they are replacing. “It’s not only more efficient for the agriculture producers but it’s also better for the environment and the resources,” he says. As the program is just starting, the positive environmental impacts remain to be seen. Though, Hemmen is optimistic as well. “Any time there is a focus and a funding mechanism for environmental restoration is a positive for the environment,” he says. In terms of challenges, Cohen says NRCS is most concerned about driving interest and finding those third-party entities to establish banks. Mitigation banking can be a lucrative venture but not necessarily when just selling to agricultural producers, Cohen says. The banking programs that do exist are located in regions with a large farming base. The aforementioned program in Minnesota is one and Iowa also has a system in place, which a non-profit administers. South Dakota is awaiting approval on a statewide program as well. “Other states with a large number of producers that need mitigation options might be interested in taking advantage of the program’s incentive money,” Cohen says. However, Minnesota had roughly a 20 year history with mitigation banking when it ventured out to establish agriculture banks, which is a history many other states don’t have, Lemm says. So while several states may voice interest, acquiring the proper skillset to setup and launch a banking program is a complex and time-consuming process and something Lemm foresees as a big challenge. “Other states will have to go through the learning phase and experience the growing pains that Minnesota went through,” he says. It is also possible that for-profit companies, mitigation banking firms, will take an interest and make these banks a part of their larger portfolio, Cohen says. Ultimately, the program is another tool for farmers to utilize if they so choose. “The bottom line is we’re trying to provide an affordable alternative for producers that feel like off-site mitigation is their best option,” Cohen says.